The Shiv Sena has been critical of BJP and its leaders have spoken of contesting the Lok Sabha elections alone. 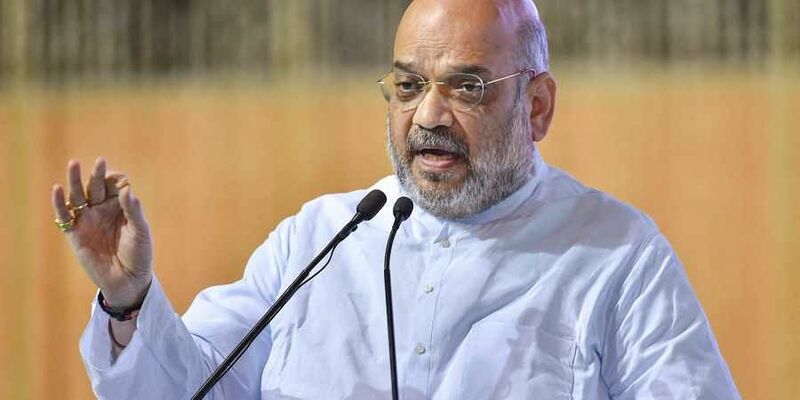 MUMBAI: BJP president Amit Shah has reportedly asked the party's Maharashtra MPs to be prepared to contest the ensuing elections alone in the state. Shah gave this message at a meeting with Maharashtra BJP MPs in Delhi Wednesday, said an MP who was present. "Shah asked us to prepare for the possibility of contesting elections alone in the state if needed," the MP said. "The BJP president told us that efforts are on to have an alliance with the Sena but if that did not materialise, we should be prepared to fight the polls alone," he said. BJP is in alliance with the Shiv Sena in Maharashtra and at the Centre. The Sena has been critical of BJP and its leaders have spoken of contesting the Lok Sabha elections alone. Targeting Prime Minister Narendra Modi, the Shiv Sena on Thursday wondered when would the Ram temple be constructed in Ayodhya if not during the tenure of the BJP-led government. Shiv Sena has also backed the opposition's demand for a JPC probe in the Rafale fighter aircraft purchase deal. "Shah said that if need be, we should be prepared to contest all 48 Lok Sabha seats in Maharashtra," the MP said. A senior Maharashtra BJP leader told PTI that Shah was "very clear" in telling the party MPs from the state to "be prepared for going it alone" in case no tie-up happens with the Shiv Sena.